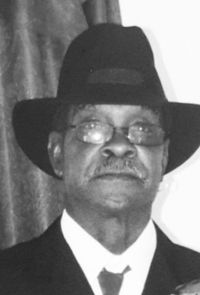 Augustus Funeral Home regrets to announce the passing of Derrick Gladwin ‘Baby Shoes’ Grant. A Home Going service for Derrick Gladwin ‘Baby Shoes’ Grant, son of the late Arthur and Marguerite Grant, loving father to Lucan Grant [Michelle] and Andrea Pemberton Barnett [Garfield], brother to Dennis Grant [Bernette], Abdun-Nur Ansari ‘Raymond’ [Samah], Rudy and Anthony Grant, Sandra Grant and Valerie Nearon [Leon], special friend Dorothy Smith, in his 73rd year of 78 South Shore Road, Apt. 1, Warwick will be held at The First Church of God, North Shore Today, October 12, 2018 at 2:00 pm. Relatives and friends may pay their last respects at The First Church of God, North Shore Today, October 12, 2018 from 1:00 pm – 1:50 pm. Lovingly remembered by grandchildren: Kenneth, Shaquille and She’Vaughn Pemberton, Asha Trott, Leilani Grant, Malachi and Tori Hayward; nieces: Terri-Lyn Talbot, Christine Adams, Kiajuana Dixon, Nika Johnson, Tacite Butterfield, Ashley Grant, Aisha Ansari, Kanjuannitta and Norryette Grant, nephews: Shane and Coefield Grant, Gary Joell, Steven Forbes, Shaun Dean, Mark Hensey, Dennison and Anthony Grant Jr., Muhammad and Abdelrahah Ansari, Sean Smith, Shiloh Payne and numerous other nieces, great nieces, nephews, great nephews, relatives and friends; special cousins: Sylvia and Leroy Reeves; special friends: Dorothy Smith, Antonette Parffit, Bernadette and Corey [Tylise] Smith, Clifford Stevens.